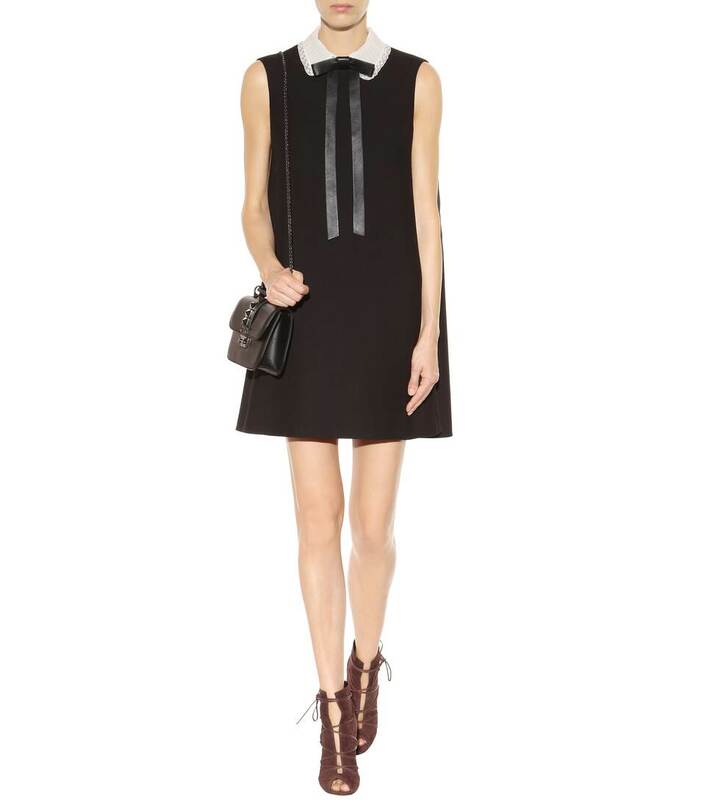 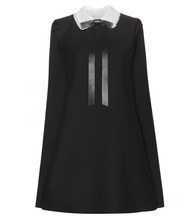 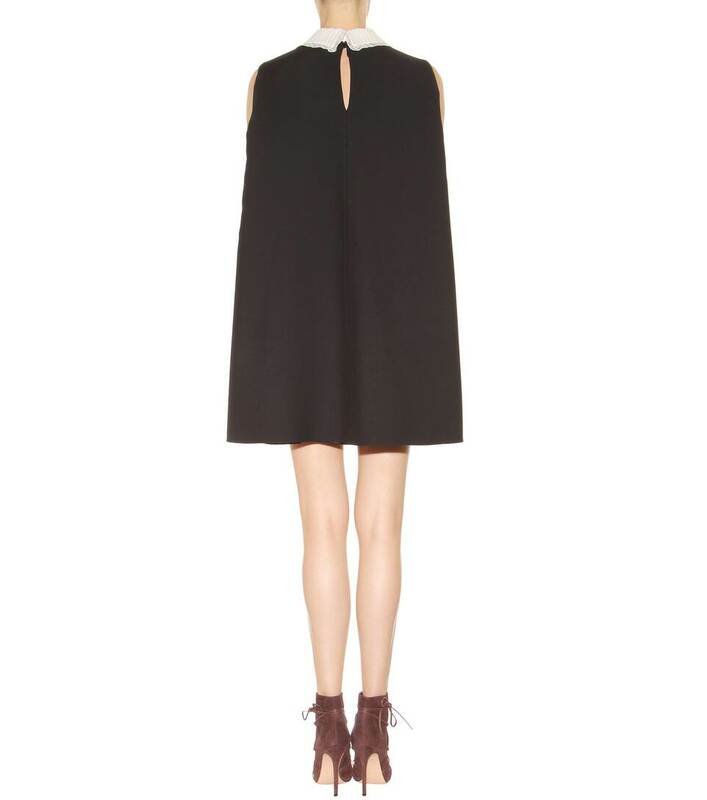 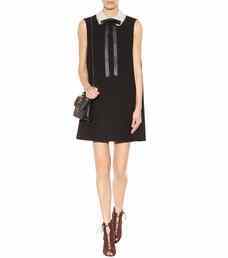 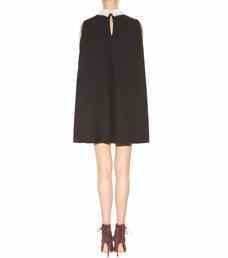 This sleeveless Valentino mini dress updates classic tailoring for a contemporary crowd. 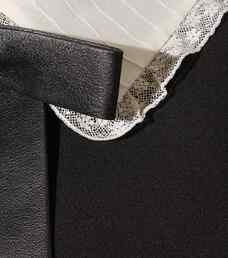 The angular, diaphanous cut is figure-flattering, while the Victorian lace collar adds a hint of the feminine - finished with a leather bow for edge. 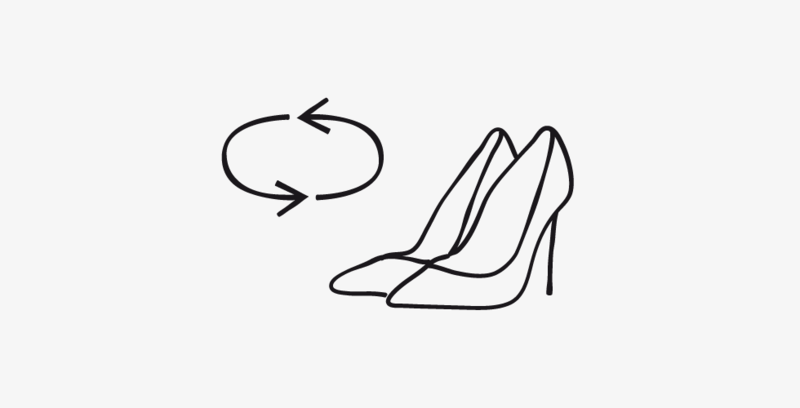 Crafted from a blend of wool and silk, it will be a timeless addition to your wardrobe.